My kids headed back to school day! It's such a bitter-sweet moment because on one hand you're so sad to watch them grow up and start a new year of school, but on the other hand you know they're going to learn so much and make a lot of new friends and you're so excited for the year ahead of them. 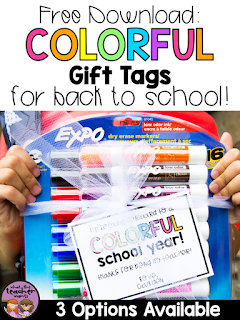 I picked up some teacher gifts on Amazon a few weeks back and then late last night realized I forgot to make a cute tag to go on them. So at midnight last night I hurried to make and print these cute tags to go on these gifts for their teachers. 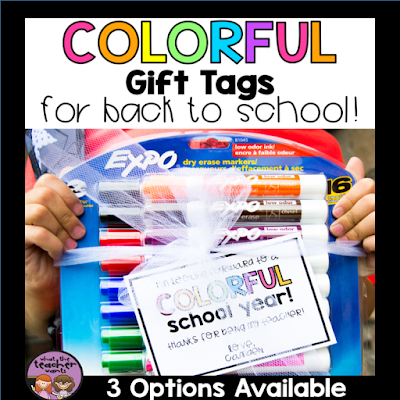 I want to share these Colorful School Year Gift Tags with you and they are available in 3 different versions. Here are the 3 tags that are available! One for a student to give to their teacher, one for a teacher to give to their team members, and one for a teacher to give to their students. 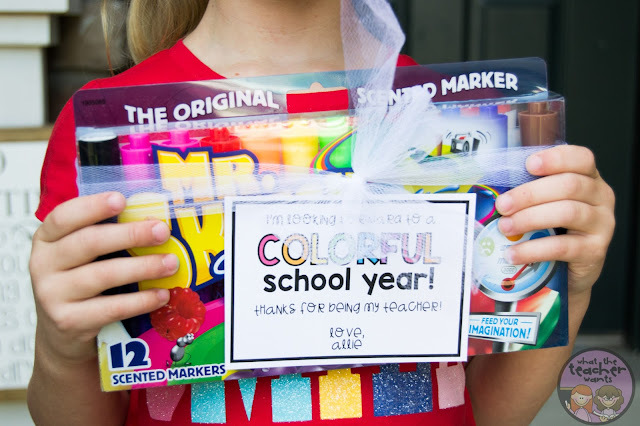 Would also be cute for a principal to give to their staff members on the first day of school! 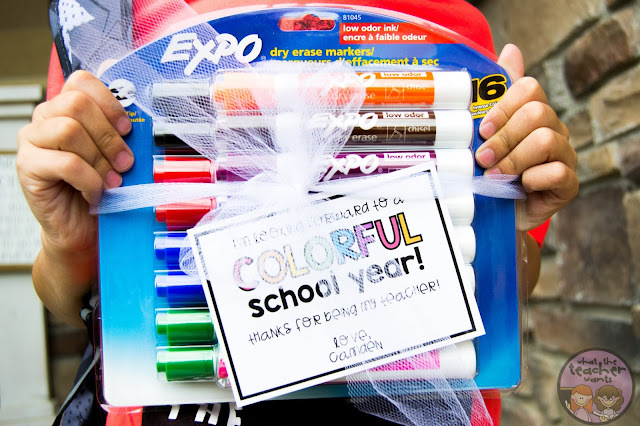 Or the PTA could hand them out during the first week of school. The possibilities are endless and it makes a cute, cheap, practical gift! Thanks for being my teacher! 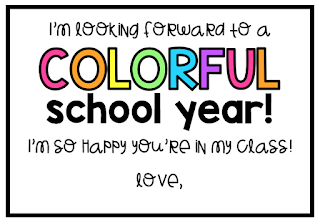 I'm so happy you're in my class! *Please note that there were available for free for the 2017-2018 school year as a special gift to blog readers. The price has since increased to $3.